New UK Prime Minister Theresa May made key ministerial changes straightaway in office. 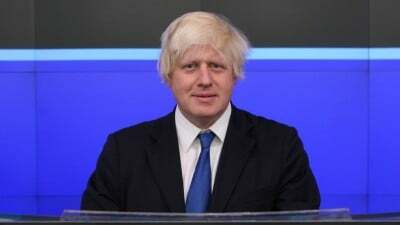 Notably she named former London mayor/leading Brexiteer proponent Boris Johnson as foreign minister, shifting incumbent Philip Hammond to finance ministerial duties. David Cameron’s chancellor of the exchequer George Osborne was sacked, earlier seen as the favorite for Tory leadership, now out of government entirely. Last year he called Vladimir Putin “a ruthless and manipulative tyrant.” Expect no improvement in UK/Russia relations. These and other blunt comments hardly make good diplomacy. It remains to be seen how Johnson behaves as foreign minister. Calling himself a One-Nation Conservative, he was Tory London mayor from May 2008 – May 2012, an MP from June 2001 – June 2008, then again since May 2015. A leading Eurosceptic, he said Brexit won’t deny Britain access to European markets. “I cannot stress too much that Britain is part of Europe and always will. be,” he stressed. Don’t bet on it. Chances for Brexit are virtually nil because US, UK and EU monied interests won’t tolerate it. Politicians notoriously say one thing and do another. Expect public opinion to be manipulated to oppose what’s now favored. Britain will remain in the EU, perhaps with concessions granted acceptable to other members.